I do like eat jelly roll especially with pineapple jam, but a little bit hard to find jelly roll with pineapple jam at here. Almost them are filled with butter cream or others. At home, my mom have some leftover pineapple jam that she homemade when CNY for making some pineapple cookies ( nastar ), she store it in freezer. The Jam still look very nice. So, i just need to heat it a while in saucepan. 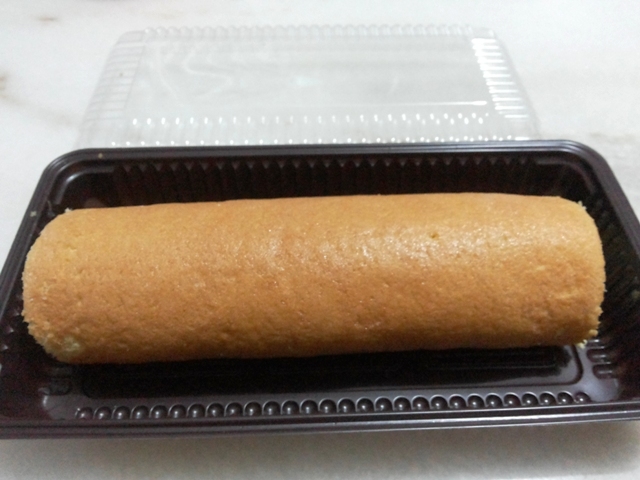 Before i make it, i surfing in several food blog and they tell must be carefully when roll the cake because the skin will stick to baking paper. they suggest us to spread some castor sugar on top of baking paper which we use for roll the cake. After i make it, I think exclude of spread some castor sugar, we must not bake the cake to long. if cake too dry, the skin will stick to baking paper easily. 1. Pre-Heat Oven,set temperature 160 Celsius. Grease your cake pan with some butter then put baking paper and grease baking paper with some butter. 2. Prepare a mixing bowl , put egg whites and beat until foamy. Sprinkle half of the sugar into beaten egg whites. Beat again until stiff and look glossy. 3. Add egg yolks into a separate bowl, add half of the sugar and vanilla essence.Beat at high speed until pale, thick and fluffy, about 5 minutes . 5. Add beaten egg yolks into the egg white mixture , stir until well blended use spatula. 6. Pour batter into cake pan and bake for 15 minutes. 7. Remove cake from pan , Sprinkle cake top with powdered sugar, so that the cake does not stick when we rolled. 8. 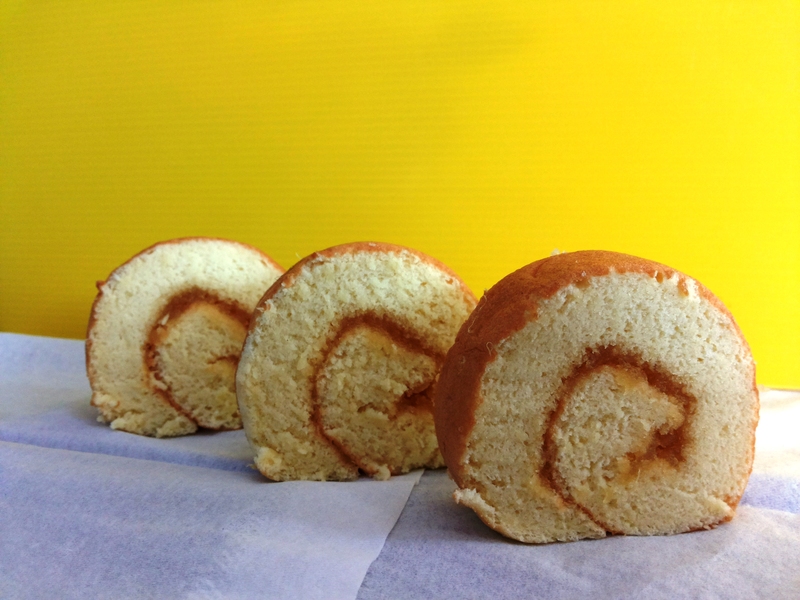 Roll the cake while pressing it. in order for dense. 9. Let the cake to cool then spread jam. Then roll back.